Based in Austin, TX, American Innovations (AI) is a leader in providing cathodic protection, integrity management, and remote monitoring for the oil & gas industry. AI also provides a number of professional services including remote asset management, risk analysis consulting, and cathodic protection system design & installation. AI provides some kind of product or service to virtually every oil & gas company in North America. AI is also a Juniper partner. They carry the Allegro MX™ Field PC, which their customers use with AI’s Pipeline Compliance System software to collect, analyze and report compliance information and to perform field surveys using GPS. Just recently, we were honored to receive for the second year in a row, the “Supplier of the Year” award from AI. 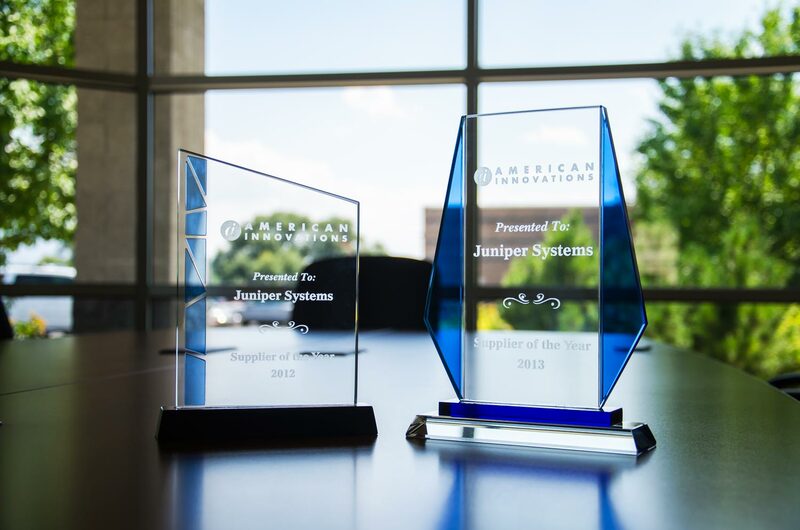 Both years, AI attributed our receiving the award to a high level of responsiveness that Juniper provides with regards to product delivery and custom configuration changes and updates. They also cited the flexibility that Juniper has given them in acting as a fulfillment center for AI. To learn more about becoming a Juniper Systems partner, contact us online or give us a call at 435.753.1881.